During the week, my family has staples that we stick to for breakfast. Bradley has toast/pancakes, fruit and yogurt while Chris and I have whatever we pick off the pantry shelf that day. But on the weekends it's a completely different story. We like trying new recipes and sitting down to a hearty and delicious breakfast as a family. 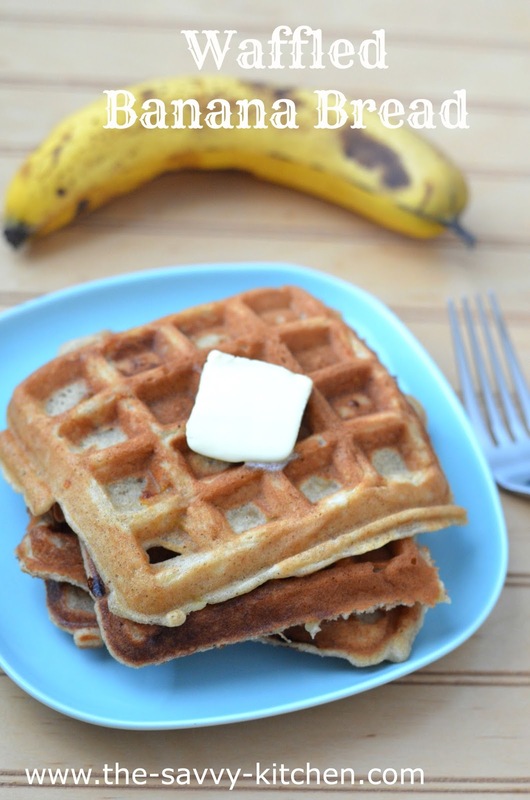 And what sounds more delicious than taking a moist banana bread recipe and putting it in a waffle maker? Uhh, not much. Enjoy! Preheat a waffle iron to medium-high. Preheat the oven to 200 degrees F (to keep cooked waffles warm). Whisk together the flour, sugar, walnuts, baking powder, baking soda, cinnamon, nutmeg and salt in a large bowl. Whisk together the banana, oil, sour cream, vanilla and eggs in another bowl. Fold the banana mixture into the flour mixture until just combined (it's okay if there are lumps). Lightly brush the top and bottom of the waffle iron with oil. Fill each section about three-quarters of the way full (there should still be some waffle iron showing). Close and cook until the waffles are golden brown, 4 to 6 minutes. 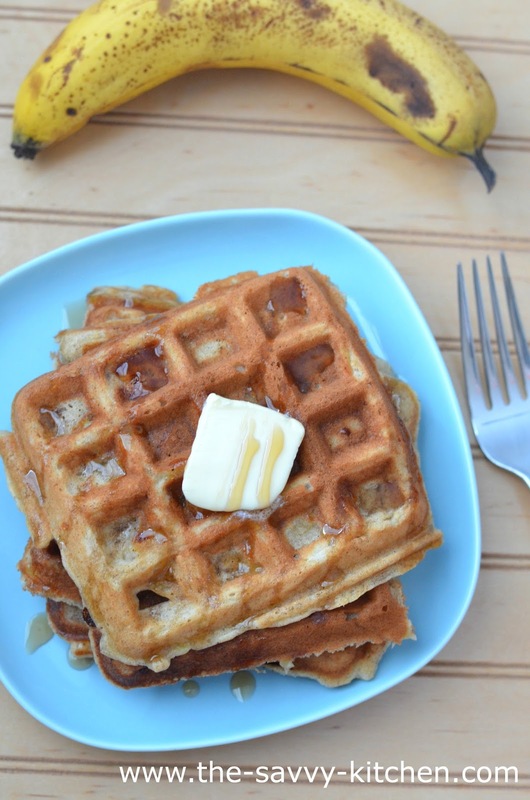 Keep the waffles warm in the oven or covered with foil on a plate while you cook the remaining batter. Spread with butter and dust with confectioners' sugar if you'd like. These look amazing! I wish I had one right now :) This colder weather makes me crave warm breakfasts!